Under the High Chair: Home with Friends. Good Friends. I love where you're comin from sister! Though, my personal icy boys choice would always and forever be "chubby hubby"......with absolutely no side cut to my slim jim, running machine of a husband! It's just the way it is! I love those evenings..... hope you enjoyed it! 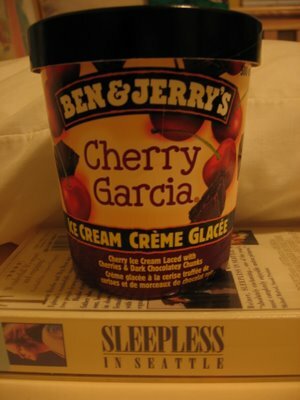 I'm totally into eating ice cream and watching Meg Ryan. Does that qualify me as a single woman? I guess I'm saved by the fact that I wouldn't have lit candles and my first choice of movie would have been Sleepless in Seattle.